Rihanna reclaims her Barbadian accent, forgoing her earlier Americanized vocals. Listening to Rihanna’s new album, Anti, it’s obvious there’s no mega-smash hit — there’s no eletcro-pop gem like “Diamonds," no “Umbrella”-like anthem. Anti is not a particularly happy or uplifting album either. 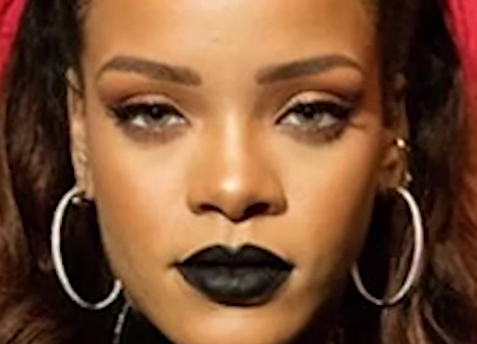 Rihanna’s emotions shift constantly, from loneliness to lust, vulnerability to indecision. But there’s still plenty about Anti to love. The depth and darkness she’s uncovered here is the furthest she’s come personally in her music, and it makes for a compelling and captivating album — whether Anti yields an R&B staple doesn’t seem to concern her right now. She begins by reclaiming her Barbadian accent on “Consideration,” forgoing her earlier Americanized vocals. “I got to do things my own way darling/ Will you ever let me?” she chants defiantly. The interlude “James Joint” boils down her love life to smoking weed, making out, and not giving a damn about anything else. Although it’s the briefest song, the swirl of soft electro-pop notes is the sexiest on the entire album. Another slow jam, “Kiss It Better,” features an ’80s-era guitar hook that could just as easily be a Prince write-off. Her best work comes toward the end of the album. She lets loose on the doo-wop tune "Higher," accentuating its distorted, wobbly strings, and on its sister tune — the slow, retro 1-2-3 beat of "Love on the Brain” — she’s never been more daring. When her voice is stripped of electronic assets and allowed to become grainy and raw, it shines. By the time Rihanna closes Anti with a tender piano ballad, it’s clear she’s evolved; those annual album drops may now be a thing of the past.